“The grass is always greener on the other side of the fence”. This is an old proverb referring to our propensity, as humans, to yearn for what we don’t have. What’s that got to do with drums? Well, one of the ways to describe a “Holy Grail Drum Kit”, is when you have the drum kit that obliterates that yearning to replace it with another drum kit. Holy Grails are elusive, that’s what makes them “holy”. It’s easy, common even, to go through an entire lifetime without ever identifying a “Holy Grail”. Often we think we’ve identified and even acquired the elusive holy grail, only to realise that the grass is still greener on the other side of the fence. Why does this happen? 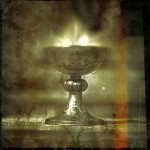 One reason is failure to spend enough time and diligence on the process of identifying and specifying the Holy Grail. Another reason is putting the cart in front of the horse, shopping for a kit that’s within our budget, reach or current needs and rationalising that to be the “one”, while really, we haven’t even begun to figure out what we’re looking for. Any of the above sound familiar? This article is about my own Quest for the Holy Grail Drum Kit. A journey beginning with the search for wisdom and enlightenment, putting aside the practical and realistic, the logical and scientific, in order to focus on one primary goal; a vision, a mental image, a vague notion, a scent, a trail…. Whew, that was deep. Meanwhile back in reality, the journey begins with carefully identifying the fundamental requirements. 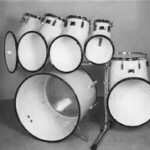 What does a drum kit need to have in order to fully satisfy the requirements? One drummer’s holy grail won’t be the same as anybody else’s. Each individual will have their own requirements. Once the needs are determined, I mean really determined, exercising brutal self-honesty, we can start looking at what it takes to bring the results of our needs assessment to a level of ultimate perfection. 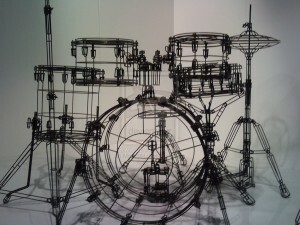 To some drummers identifying the ideal drum kit is straight forward. Sometimes as simple as cloning a familiar set-up, albeit with some tweaks. Other times a particular drummer’s requirements may be definable enough that the Holy Grail is obvious. For most of us it’s not that simple. Many aspects need to be considered and satisfied for a drum kit to qualify as a Holy Grail. While some may begin their process from a technical, logical, data perspective, others simply look at, try out and listen to drums. Either way is a path to a short-list. It’s down to personality, what type of person we are, that determines what process we use. 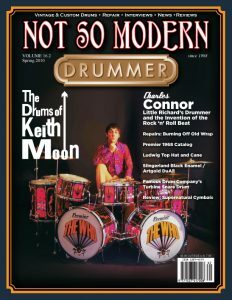 Regular readers of CompactDrums.com may make the assumption that my ultimate drum kit would be a small size, compact or portable one. Maybe it is, but I’m not making that assumption yet myself. Personally I tend to begin with technical data, starting with broad parameters with a hope to narrow it down as much as possible before beginning the more tedious process of hunting down drums that fit the criteria to try out and listen to. What sound are we after? What style of music will we be playing? The more drums we are familiar with the less tedious this process will be. If you’ve tried out a few hundred drum kits of various configurations in your career, a short-list is easier to compile than if you’ve only ever played a handful of kits. The more specific we can be in terms of the last three aspects, the clearer the picture becomes. For example, if the music you play is heavily influenced by a particular band and you only play certain venues, you’re starting with significantly more clarity than someone that plays numerous styles, perhaps in more than one band and in vastly varying venues. In regards to the sound, not only does it need to be suitable for the music we intend to play, it also has to sound “right” to our own ears. You know that “Oh Yeah”-feeling we get when stomping the bass pedal, hitting a rim shot, or rolling down the toms. 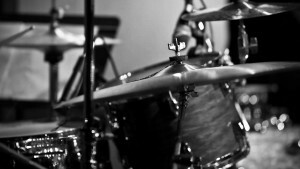 We all have a particular sound we’re seeking when we try out drums. Here is my own starting point. It’s unfortunately the opposite of clear. Which may be great for this article as the vague, moving target makes for a more interesting process. No particular sound. Our jams span all varieties of Rock, Blues, Jazz and Folk. Further, I’d like to be able to record other musician’s work in a home-studio in the future. Thus, my Holy Grail drum kit needs to be highly versatile and adaptable. Of course I have my own preferred sounds it must be capable of, but it also needs to adapt to the entire range mentioned. Mostly my Holy Grail Drum Kit will be played in the jam-space in my house. There will be times though when it will have to be set up at other venues, either in whole or a subset thereof. Hopefully transporting the kit to other locations will be limited to less than monthly. Re-configurations on the other hand may be quite frequent. Configuration: While I’m not ready to specify sizes yet, for versatilities sake, I believe at least six pieces will be necessary. Although maybe only four of the six may be used simultaneously. I’d like my Holy Grail kit to be my main drum set for many years to come, therefore the finish needs to be interesting enough to lend some character and personality, while still tasteful and timeless enough not to be subject to phases, fashions or fads. Of course with the expectation of transporting monthly and re-configuring often it should also be highly durable. When I was younger, Impressive level would have been a consideration, not so much any more though. Narrowing down the specs to a point where the picture is clear enough to actually see something that resembles a drum kit is a gradual process. Taking steps closer to the goal and reviewing the results after each step. After spending a few weeks checking out drums, researching options and consulting with more experienced drummers, the picture is gradually getting clearer. At this stage I’m leaning towards a 7-piece set-up. rarely do I play a larger kit than a 4-piece and a 6-piece would likely be more than adequate, so 7 should safely cover all the bases. Just about every DIY kit I’ve made in the last six months have been experiments with bearing edge shapes. I’ve had the most success with close to standard 45 degree with a 45 degree outside bevel, with a slight adjustment. After the router work is done, I spend a lot of time sanding the outside bevel into an almost rounded over profile. Not so much that it could just be cut in the router, but enough to increase the head-to-shell contact surface. This lends a slightly more mellow tone while adjusting the resonance ratio a little more towards the shell and a wee bit less of head resonance. From a priorities perspective the finish will be taking a back seat. The only criteria being timeless and adding character and personality to the kit. Maybe I have a slight preference towards lacquer, just in case there may be a smidgeon of a choking effect from wrap that could be detected in a recording scenario. Starting with the bass drum; Nine times out of ten, I’m satisfied with the tone I can wring out of a 16″ diameter. For a Holy Grail Drum Kit though a 16″ isn’t going to be versatile enough and certainly won’t satisfy other drummers that may be playing the kit in the future home-studio. Anything larger than 20″ is out of the question. I have always preferred the smaller sizes both from a tone and visual aspect. Not to mention keeping it practical and portable. With 90% certainty the snare drum will be 13″. Personally I find it the easiest size to get “my” tone out of. Besides the snare is likely to be the most transient member of the rig. Tom sizes are still to be determined. Shell thickness and plies will likely be somewhere in the standard range. Neither unusually thin or remarkably thick. My Holy Grail drum kit needs to be versatile and have a high level of universal appeal. The more I compare various manufacturers mounting approach the more it seems to “come out in the wash” which approach to take. There’s no definitive winner from a convenience point of view. Rather I will hence forward look at nifty “bonus points”. No verdict yet. A lot of thought has gone into the wood selection. A lot of people immediately assume that an ultimate drum kit must be made of Maple, Birch or some exotic wood. 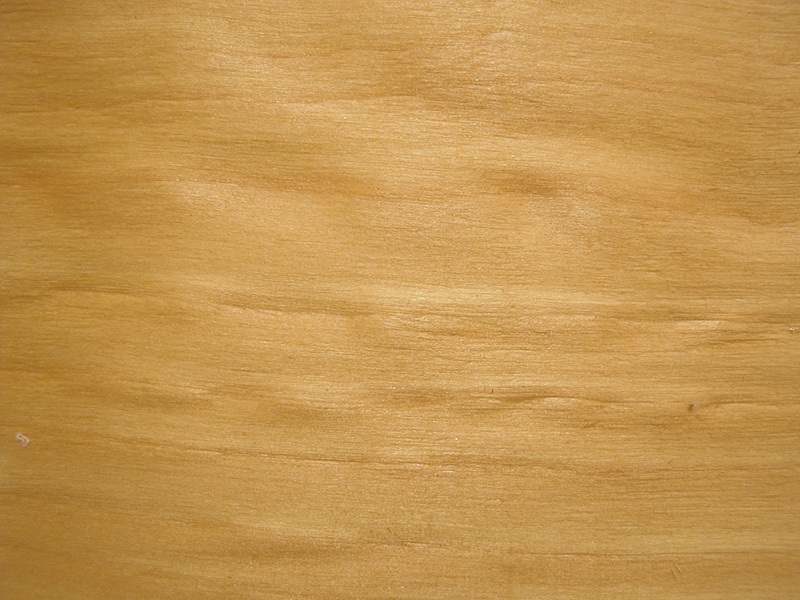 I have no bias against less “fancy” varieties like poplar, basswood or lauan, making the choice more difficult. My Taye GoKit sounds amazing and it’s a Birch/Basswod hybrid. I’ve also had some nice sounding poplar and lauan drums. Recalling my most pleasant experiences with bass drums narrows it to Maple, Mahogany and Birch. For snare drums I’ve always found poplar or birch to have the most satisfying combination of crack, warmth and control. Among favourite toms Maple, poplar and hybrids place high on the list. My board of advisers recommend birch for versatility. More research will be necessary before a verdict can be established. Used has been ruled out for the simple reason that availability is transient. Once all the criteria are determined it’s not likely to find the exact specific set-up on the used market and any attempts would likely make compromises tempting. Whether to buy new or DIY will depend largely on the criteria once defined. No verdict yet. 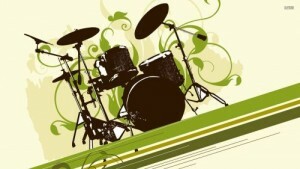 Configuration: CompactDrums.com’s Holy Grail Drum Kit will be a 7-piece. Although as mentioned a few times already, 5 or 6 would be overkill most of the time. The additional pieces are for flexibility and versatility. Sizes: The bass drum size is established at 18″ Diameter X 16″ Deep. A 20″ bass drum was also a consideration but 18″ and smaller have always been my “bag”. 14″ depth would have been adequate as well. However for the sake of versatility it was determined that 16″ would be more suitable. The inherent sound qualities of a 14″ can be wrung out of a 16″ quite simply, while the opposite would be far more challenging. 13″ diameter is established for the snare drum. Depth still needs some more checking before a final decision. Sizes and configuration of the toms start to fall into place much easier with the bass drum established. I’ve always had a preference for hanging floor toms, meaning we don’t have to decide how many of the five toms need to be rack versus floor toms. With all hanging toms this can be mixed around as fit for any given situation. While final sizes are yet to be determined, as an initial draft we’re working with 8″, 10″, 12″, 13″, and 14″ diameters. In regards to bearing edges, The 45 degree with slightly rounded 45 degree bevel, described above, is decided on. However, it’s not a necessity that the kit comes this way, as they can easily be re-cut once acquired. Wood Species has been one of the most difficult to decide on. I packed up my car with a mix of favourite toms and snares and headed over to a local buddy with a variety of drums and a decent home studio. Over the course of three days we recorded 16 snares and 10 toms, rotating the same heads and with identical tunings. Three different tunings were sampled for each drum as well as varieties with damping. To verify that tuning really was identical, we utilized both the DrumDial, (reviewed here) and a ResotuneII. (Reviewed here.) After my friend performed some magic with his studio technology I had about 60 minutes of varying drum sample tracks separated with voice descriptions. The samples were a mix of completely “dry”, “dry” but cleaned up, and “wet”. After listening to the samples, discussing with others and going through a “blind listening test, the verdict is determined… My Holy Grail drum kit will be 100% birch. As a sidenote, the birch samples didn’t consistently have the sweetest voice to my ears, but did prove to be the most versatile and adaptable while still receiving the most points overall for it’s natural timbre. During the same process used to determine wood species, the shell design was also confirmed. Regular 7-8 mm shell thickness is the final choice. 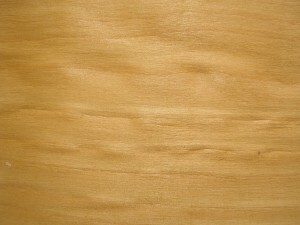 From a finish point-of-view the slight preference towards lacquer has now been established as a firm decision. As mentioned before the goal of a subtle, understated finish with a timeless appeal and enough bling to be catch the eye, is maintained. While not confirmed 100% my Holy Grail Drum Kit will likely be bought as a brand new shell pack. Used was already ruled out. DIY seems less and less tasty as the likeliness of finding suitable, matched shell candidates is slim without springing for new keller shells. 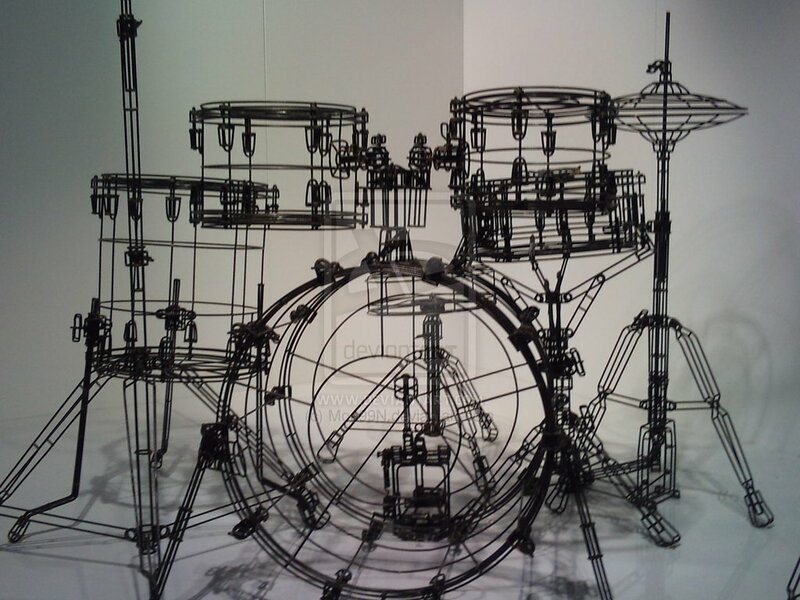 I’d like to do something like that one day, but that’s more to satisfy my DIY spirit than to fill my desire for the ultimate drum kit. While shell pack hardware will play a role in my final decision, it won’t be a major determining factor. Most brands offer excellent mounting and hardware parts. Some aspects of the hardware may in the end ‘tip the scales” though, if all else is equal. All that’s left before making a shortlist of candidates is establishing the snare depth and tom dimensions. Deciding on tom dimensions turned out to be a straight forward task. A couple of hours of round table discussions over beverages, settled the sizes already suggested. 8″, 10″, 12″, 13″ & 14″, all rack toms. Depths of the regular variety, shallower than “power toms”, but not as shallow as “fast toms”. Moving on to the snare, a similar verdict was reached. Standard 4.5″ – 5.5″ depth for a 13″ shell would be ideal. I was expecting that just about every manufacturer would have a 4, or 5 piece pre-configured kit with a 18″ X 16″ bass drum. I could then simply add a few a-la-carte toms and maybe the snare. However the options are a bit more limited. You would think that a 7-piece shell-pack of more or less standard size drums would be readily available in birch. However as standard offerings it is only available from a handful of brands, with another handful offering the same as special order, or from the “custom-line”. This is the whole reason it’s so important to list the desired specifications first, so as to not compromise based on general availability and end up with a kit that won’t last in the long run. Nobody ever said this was going to be easy. Not that I have unlimited budget to work with, but for the meanwhile, I’ll ignore the cost all-together and compile a list of the available options. 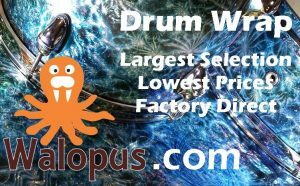 Starting with scouring all the manufacturer’s respective websites for 18″ X 16″ bass drums in birch. That way we have the list of more or less standard offerings that just need a-la-carte additions to meet my needs. Next the same websites get visited again to get an idea of what is involved in either a special order, or ordering from the “custom-line” of each respective brand. Ordering a custom or special order drum kit is straight forward enough and a bit of research reveals that cost is in most cases reasonable and within reach. The major downside of this option is delivery time. 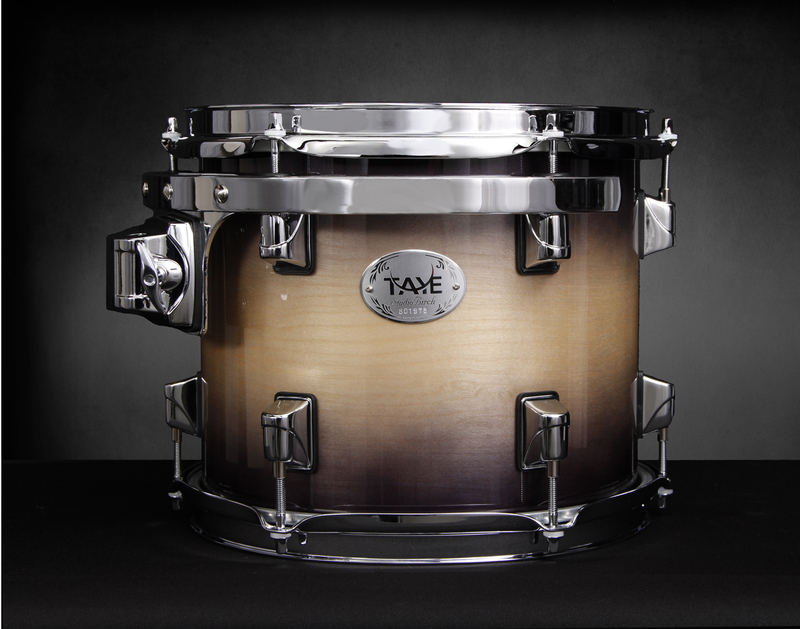 While wrap versions in some cases can be surprisingly quick, lacquered finish custom drums take substantially longer. The final decision has been made. Myself and all the folks that have assisted me along the way are very pleased with the outcome. All our criteria has been met without having to make a single compromise. So? What is it? What is Magnus’ Holy Grail Drum Kit? Out of the last remaining three options, Taye’s StudioBirch was my personal favourite. 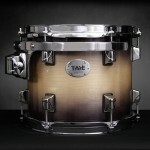 Not only do these drums meet all our criteria, but two of the finish options are perfect as well. Both beautiful enough to give the drums character but still subtle and understated enough not to loose appeal over time. They’re called “Galaxy Ice” and “Natural to Black Burst”. Taye’s website shows an available “418F” configuration as a pre-packaged shell pack. 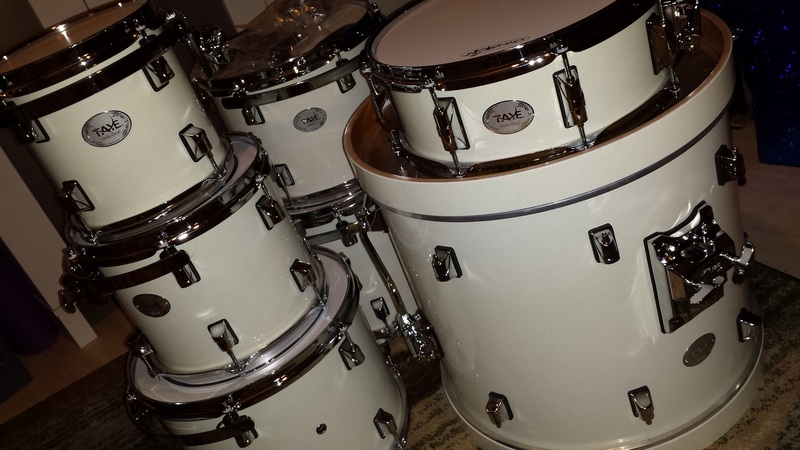 This is a regular 4-piece with the 18″ bass, 13″ snare, 12″ tom and 14″ hanging floor tom. Perfect! 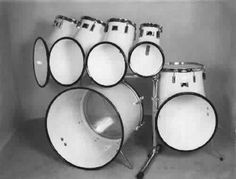 All that’s required on top of that is to order the other toms separately from the extensive list of available drums in the series. 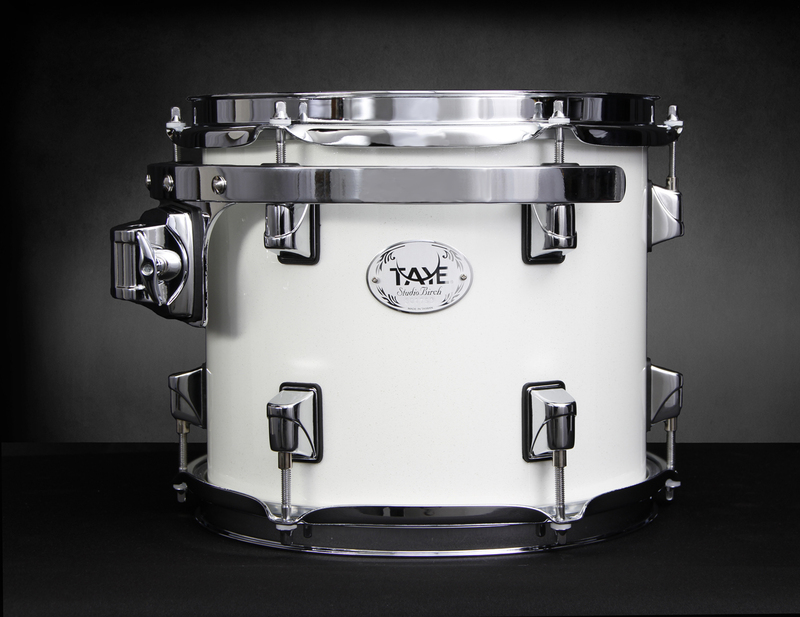 I also have a comfort level with Taye Drums, having reviewed a few of their kits, owning one myself as well as two of the regular contributors of this site having Taye Kits. While the shell-pack hardware wasn’t part of the selection criteria, a couple of Taye’s innovative features certainly add some icing to the cake. My favourite being the “SlideTrack” Tom mount, allowing the mounting of two toms to the bass drum while essentially maintaining a virgin shell, in addition to adding a few inches of front-to-back adjust-ability. Upon contacting Taye in regards to how to best go about this, I was informed about Taye’s Configuration Friendly Concept. Although already aware of the term and even having quoted their description before, I was positively surprised at the extent it reaches. In their four best selling lines, which includes the StudioBirch, there are over 100 pre-priced configurations! These include the exact configuration we decided on. Not only is ordering any additional toms unnecessary, being a pre-priced shell pack means a level of affordability I hadn’t expected. I would urge anyone looking beyond the regular configurations to contact Taye via the email on their website. Chances are they have the exact setup you’re looking for as a standard offering. It get’s better still. 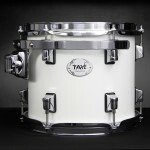 Taye have my Holy Grail Drum Kit in stock in both the finishes that suit me! All that remains is to decide on the finish and negotiate the package with an authorized dealer. I did not manage to get a look at the Natural to Black Burst finish in person. I was however already leaning towards the Galaxy Ice and after seeing it with my own eyes, it was an easy decision. The classy, plain white has a wedding cake sort of timeless elegance to it and the subtle, and sparsely applied silver sparkle is only visible close up, or at certain angles and/or lighting. My only concern is keeping it spotless and clean over the long term. Taye’s friendly customer service suggested I talk with RingRingMusic.com about pricing and terms. Armed with my best negotiation mood I contacted them and had a most comfortable experience with Charlotte. She proved to have extensive knowledge of Taye’s offerings and gladly worked with me both on pricing, shipping costs and made sure we covered any details I might have otherwise overlooked. RingRingMusic have a pretty decent website with quite a few of the available configurations illustrated. Less than two weeks later, My Holy Grail Drum Kit has arrived. Separate extensive review. Determining and acquiring my Holy Grail Drum Kit. From identifying to procuring.